My room in Hotel Palace in Split. This was on one of my first convoys to Split. Normally we would share a room with more drivers, but this time I had a room for my own. 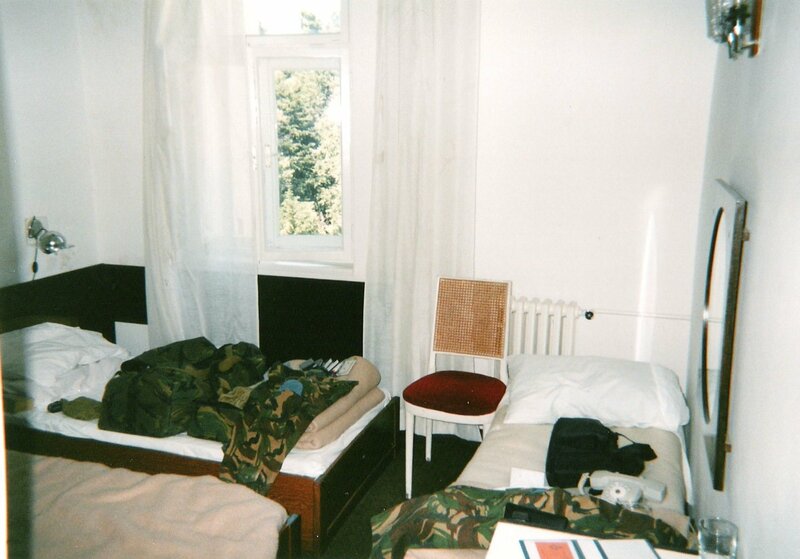 Just before I went to Bosnia I bought a laptop, the case of the bag is on the bed to the right. Unfortunately I don't have any other photo's of the hotel. The hotel was almost exclusively used by UN personnel. They were renovating all the rooms. The dinners served in the restaurant were horrible, the pizzaria in the basement was much better. The only thing was that you had to pay for your pizza and the dinner in the dining hall was 'free' (included in the room price the UN had to pay, I've heard rumors that the room price was very high compared to the quality of the rooms etc. ).